Not there yet. Ratio of women’s wages compared to men since 1979. 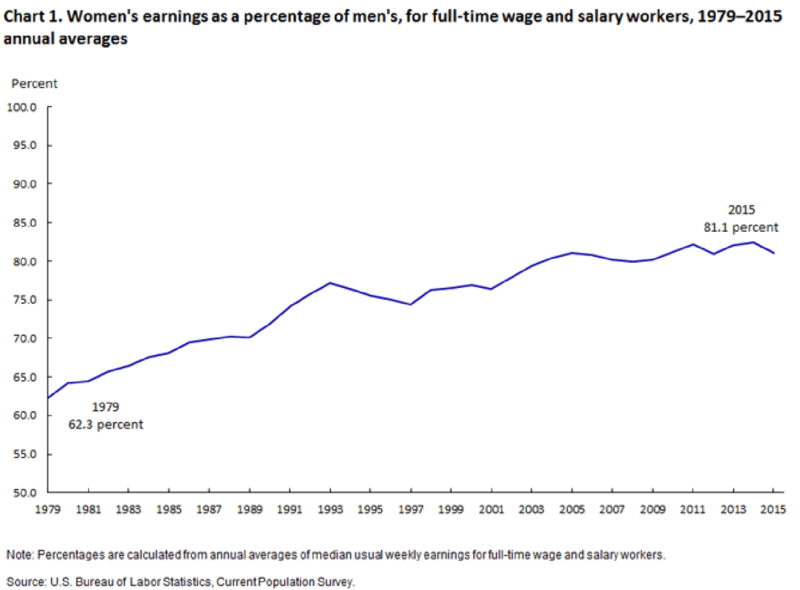 In US, women get paid only 81% of what men get paid. That’s a shame when women make up 50.7% of the population, 47% of the workforce, and more than 58% of are employed. Source: www.bls.org, Women in workforce, 2015 BLS Reports.